This FREE Dashboard Indicator was created to use with the Triangle ATB Sniper Ninja. This indicator is great by itself but we always go above and beyond the call of duty by offering you extra features that you will not find anywhere else on the market..
Arguably the most popular feature that will come with the ATB Sniper is the signal dashboard. 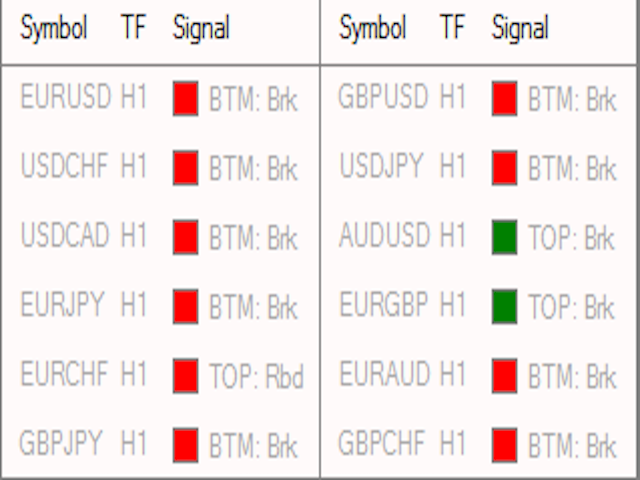 The signal dashboard will show you instantly if there is a triangle pattern in each specific time frame. 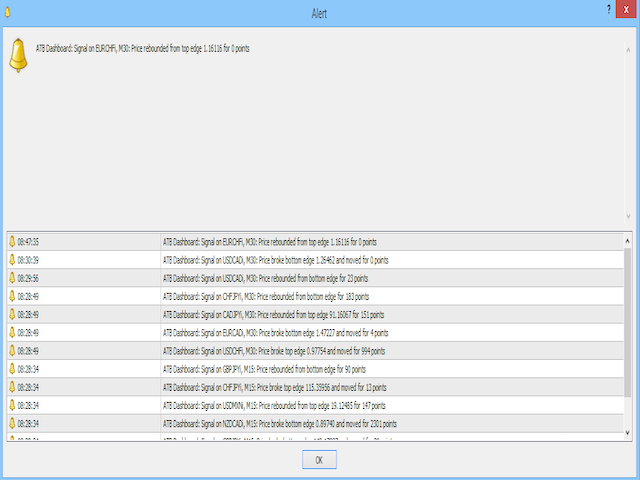 It makes trading with the ATB Sniper indicator 100x easier and effective! It also comes with alerts. Scanners are the most time saving tools you can find simply because they can show you multiple time frames and multiple currency pairs, stocks, commodities, bitcoin, and so on.